I spent a long time searching for manuals including some "free download" sites that try scam you into registering your credit card details and some links from this forum that are now dead. However manuals4u.com.au which I did eventually find buried deep in the forum came up trumps for both owners manual and workshop manual. I thought £2.90 was very reasonable for each. For my 1991 Hiace the links are: https://manuals4u.com.au/auto/toyota/toyota-hiace-owners-manual/ and https://manuals4u.com.au/auto/toyota/toyota-hiace-1989-2004-manual/. Note that the PayPal receipt came through to my email immediately but the link to the download came about half an hour later. On scamadvisor.com it says it's legit but the website "owner" is in the USA, technical contact in Peru, server in Iceland, and then this comment by someone on Facebook "
Do not buy from them... The download failed twice and admin@manuals4u.com.au recieved my email but failed to reply....I have put this down as unrecoverable debt with manuals4u....."
Can you provide type of proof that you received the manual? As in some screenshots. I doubt any of these places have copyright to sell them TBH, the sad thing is that this information should be downloadable directly from Toyota for free. Occasionally the odd one surfaces around the internet, this one seems to be on currently. You could maybe revert the PayPal payment? I was scouting around for more electrical info and found this expanded set of diagrams and pictures of where the wires go, just FYI. (Copy and paste into browser, real links here seem to go a bit funny). 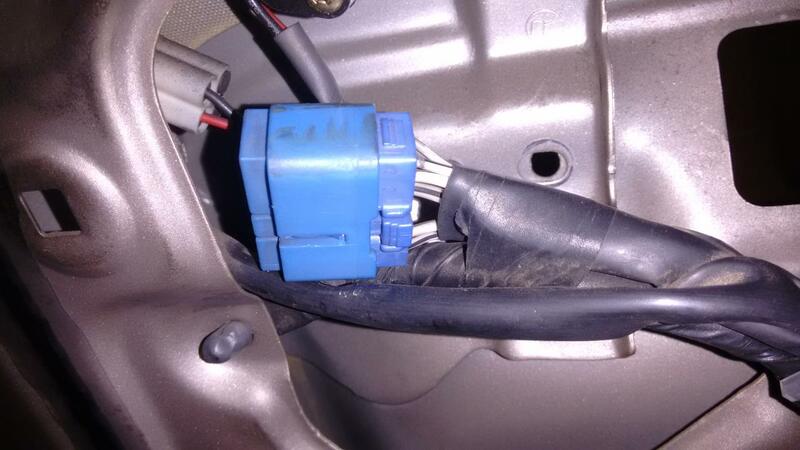 There are a couple of spare unused wires (one quite thick) in the tailgate that have no obvious usage and end in a nice socket so I was trying to see if it was really spare and I could hijack it for a neater fog-light installation. Still looking though! Apart ftom the usual central locking, wiper and lights what else is optional on the tailgate that may have warranted a special bit of loom to be left there? Was probably too early for reverse camera. Maybe read window heating, that would be the thick one. I've just looked, the window has heater elements . I'll take a picture of the plug as soon as I can and maybe put it in a new thread, thanks for the thought! - I see a "MOTOR ASSY, BACK DOOR CLOSER" in the parts system. So a system that could close the door by itself? Quite futuristic for 1996 if I understand this correctly! And that would explain the thicker wire. As I came back to the tailgate of the van after the winter I noticed I'd left that little cap that was on the blue plug inside the van, when I picked it up this time I noticed it has a metal comb inside designed to short out all the sockets of anything it was plugged into - rather than just being a cap. On the plus side I managed to find an easy way to get a wire into the tailgate from the headlining at the back, so my reversing camera and fog lamp wires can live there. I'll do a separate howto thread about that, but it involves using the hole Toyota provides for their LED top lamp on the tailgate for the tail/brake, from where it's moderately easy to thread a wire down to the light unit area of the tailgate using a 7mm spiral wound wire tidy to pull them through. Such a shame Toyota themselves don't just publish them online now, I doubt any of the pay-for-a-manual sites pay any copyright fees (even for stuff still in copyright) back to Toyota. BTW always remove the https:// bit from any rapidgator link posted else an adfly advert link gets added, apparently by the forum software!